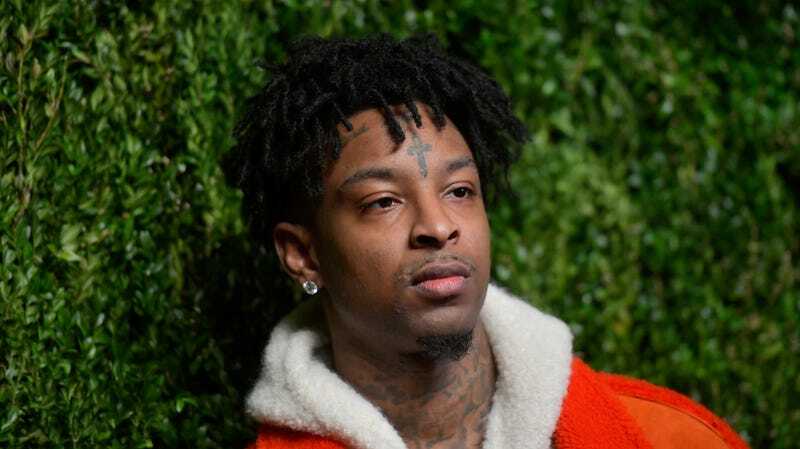 U.S. Immigration and Customs Enforcement agents took rapper 21 Savage into custody in Atlanta this weekend, alleging he is in the United States unlawfully. They are reportedly threatening him with possible deportation. The New York Times says 21 Savage “faces deportation proceedings and is expected to appear before a federal immigration judge,” though his spokesperson did not respond to the paper’s request for comment.